As a WordPress developer, I really do not like installing third party plugins. I admit there are thousands of reliable, effective and efficient plugins that work, and work well. The downside is that many of them are designed for users with little or no experience in programming or website development. I may install a plugin for an image gallery, but it comes with so many bells and whistles that it ends up getting in the way or conflicting. Even if it doesn’t conflict, why should I install a huge plugin when I am only going to be using a small portion? That’s why I prefer to write my own plugins or just include them in the custom theme features when building a WordPress theme from scratch. Knowing all of this, if I actually decide to install a third party plugin, it is rare occasion and it really must be a good plugin. 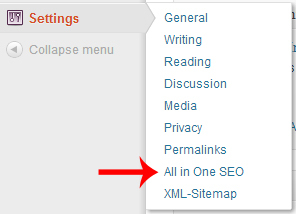 The plugin I want to discuss is the All In One SEO Pack. It is a very popular plugin and comes in a FREE or a PRO version. The PRO version basically is more developer friendly and has a subscription to download updates to PRO as well as get technical support. I had no problems with All In One SEO Pack until today. I discovered two problems, one with the FREE and one with the PRO. I will admit that the support is excellent, however we have to pay for it. The FREE version does not seem to have upgraded to the 2.0 version, but I did find a separate issue. 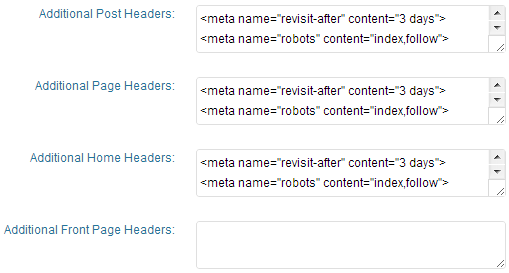 I am not quite sure the version, but shortly before 1.6.15.1 I noticed that a fourth “Additional Headers” box appeared in the All In One SEO Pack settings area. It used to have one for pages, posts, and a third for the homepage. In WordPress, you can select your home page to either be a static page or a dynamic “latest posts” page, which will be how a normal blog functions. Either way, it would use the same headers under “Home” for both static and front pages. This was perfect for me, however little to my knowledge it actually needed some fixing up. A fourth area was created so you can specify headers for the static homepage and separate headers for the blog page, or home. This is an awesome idea because it would allow someone to choose headers for either a blog/home page or a static homepage. I currently have a couple hundred domains running WordPress for a client and they all have the FREE version installed. I did not find the need to upgrade all of the free versions to pro unless truly needed, as the same basic functionality is included with both. I do, however, go in and upgrade to the latest version frequently. When I did “mass-upgrade” all of these free installs, I did notice upon completion that all of my homepage additional headers were gone. I did not at the time know about the 4th additional headers box that was created. When I went into the plugin settings, I found the 4th box to be empty. This box was the front page box, assigned to all static home pages. All of these domains in question were set to a static home page. I then was forced to go into each install and copy over my “Home/Blog” box to my static front page box. The developers of this plugin did not see this issue coming, but I feel it was a huge mistake. Had I not noticed this, the damage of my custom headers being removed could have taken full effect, and a lot of potential productivity could have been lost, as well as past work and momentum being dismantled and destroyed. This was the FREE version having problems. For the most part, the FREE version seemed to have no visible setting difference except less clutter and ads. However, after solving this debacle, I did notice an update for the PRO version, so I went ahead and did an upgrade, and found a huge interface change. 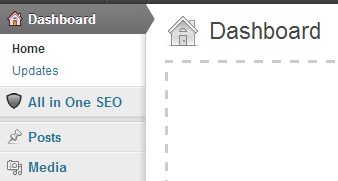 The location of the settings moved from the Settings menu to the very top of the administrative menus in WordPress. This isn’t too bad, but what if I don’t want the plugin so prominently placed? The developer version was to allow easier integration with no ads and to not be noticeable easily to the normal user. Being at the very top can become annoying if you do not want it there when creating a custom WordPress theme for a client. I had made a modification to my additional headers and saved to find all my header information had disappeared! This should never happen! An automatic update notification led me to install a faulty piece of software. Had I not gone back to check and see if my input was saved, I would have been in a huge mess! Also, had I not had a backup of the data I had entered into the plugin, it would have been permanently gone, unless I could find cached backups. This makes me go back and rethink using a third party plugin for the simple purposes I need All In One SEO Pack for, rather than using the plugin itself. It was after hours and I was plugging away to be halted by a faulty update. I immediately submitted each issue to the PAID support forums for the plugin as I came across them, and I received a pretty rapid response for each problem. After some back and forth dialogue with the support representative, I received an email for each issue with an attachment for a patch for BOTH problems. I now had a patch for the FREE version and a patch for the PRO version of the plugin, and was told that it would be included in the next release of the plugin. I am very satisfied with the support for this plugin; however we did have to pay for it. We will continue to use this plugin, however may seriously consider just developing our own internal plugin and possibly releasing it as well to handle our very basic needs that we require through a plugin. After all, we only currently use two plugins including this one. With the new 2.0 update, however, we may ditch our 2nd plugin (xml sitemap) and keep just this one since it includes a xml sitemap feature.